Dark Horse Comics has announced two new ElfQuest graphic novels for 2018. The Complete ElfQuest Volume 5 continues the canonical adventures of the Wolfriders. With Cutter leading his warriors against the human warlord Grohmul Djun, his chief-daughter Ember takes her tribemates far away into unknown lands, where she pits her skills and courage against new threats and unexpected revelations. At a hefty 720 pages, it collects material from Elfquest – Hidden Years #16-29, as well as the entire “Wild Hunt” sequence from Elfquest comics (vol.2). Thanks so much, @powells and Zoe! 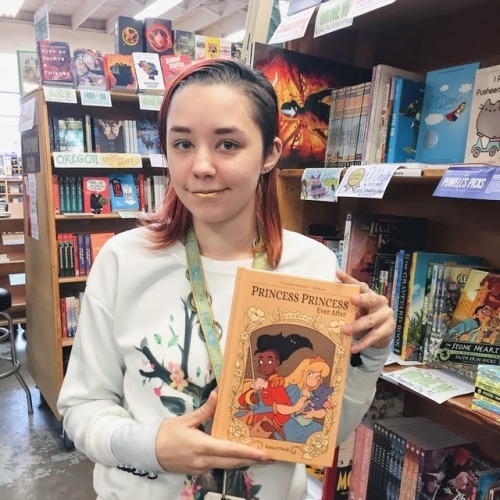 We’re glad y’all enjoyed @strangelykatie‘s Princess Princess Ever After! PUNY HUMANS! Soon you will all know the taste of DOOM. AGAIN.